Do you secretly wish Lattco and Lattco PRO could do ‘MORE’ to AUTOmate investing and portfolio management based on the Snider Method so you could maximize your monthly income and spend even less time on trade day? The spread between the bid and the ask presents call sellers an opportunity to earn more income by placing a limit order instead of the market orders we historically placed. Our tool automatically generates a limit order form when an option order has the potential for additional income and suggests a modification if the order doesn’t execute immediately. One of the most commonly missed trades in the Snider Method is selling a second, or even third, Bundle call order. AutoPilot automatically scours the options chain and your available shares to sell every Bundle available. Have you ever been doing your Sunday Evening Bookkeeping and realized you forgot to trade a position? This potentially costs you hundreds or thousands of dollars. A step-by-step trade wizard takes you through EVER positions, and a “Mark Complete” system checks-off each position as your place you trades on Trade Day. Reduce the time you spend trading your Snider Method accounts by over 50%! Most of our clients get their trades done in just a few hours, but some clients with larger accounts were struggling to get all their accounts traded in one day. Your time is valuable, and we’ve built a way for your to enjoy more of it! One click access to the option chain with no need to type in a symbol or pick an expiration. Forget the symbol? Not sure how many shares to buy or calls to sell? Every trade suggested EXACTLY according the rules of the Snider Investment Method. Pulling up option chains, checking strikes and bid prices, and saving Bundles all takes time. Lattco AutoPilot instantly walks you through each Bundle trade. Always know exactly what positions are traded and which ones remain. Our comprehensive trading wizard walks you through EVERY trade for ALL your positions. We all screw up from time-to-time. One small error can cost a client hundreds or thousands of dollars if not identified and fixed immediately. With Lattco AutoPilot you no longer need to worry about making a costly mistake. We identified the 6 most common, costly errors in the Snider Method, and built Lattco AutoPilot to ELIMINATE them. Make Trade Day your FAVORITE day of the month. You should not fear placing an order. Do you struggle with distractions from your boss, co-workers, or kids? Confidently place every trade with seamless implementation of the Snider Investment Method. No more second-guessing yourself or re-reading the Band Rules just to be sure. Receive AutoPilot’s trade recommendation and place the order with two simple clicks. Bosses, co-workers, kids, and family all want a piece of your time. Being pulled in ten different directions makes Trade Day a scramble. AutoPilot streamlines the entire process, removing costly and stressful distractions. Complete each Trade Day with confidence and pride you are executing a time-tested, strategic investment approach paving your way for a dream retirement. The step-by-step trading wizard allows you to confidently place every trade with seamless implementation of the Snider Investment Method. Get Started Today… The Line for Access to AutoPilot Starts Here Give It A “Trade-Day Test-Drive” On Us! That’s right, we want you to try it out at NO ADDITIONAL COST on your next TWO Trade Days so you can see and feel the difference for yourself! This means in your first two months you won’t be charged a penny more than what you already pay for using Lattco PRO. REMEMBER, you can’t get access until you sign up below. JOIN TODAY to get all the benefits of Lattco AutoPilot. We want to ensure you have our VIP level of support as you settle into the cockpit of your new, fully-loaded investment guidance. We’ll do this with a phone call tour of Lattco AutoPilot – where we walk you through all the steps of the ultra-intuitive process. You’re right, it’s probably a little over-board due to how intuitive this software is, but that’s just a part of our VIP client care! Plus, you get a Hassle FREE Upgrade; which means the on-boarding process is just a few clicks away and we’ll hold you by the hand to ensure this step is super-easy. And, as always, you get the same level of excellent on-going support you’ve experienced for years with your faithful Snider Advisors team. Simple pricing You will love it, eliminate tedious tasks! 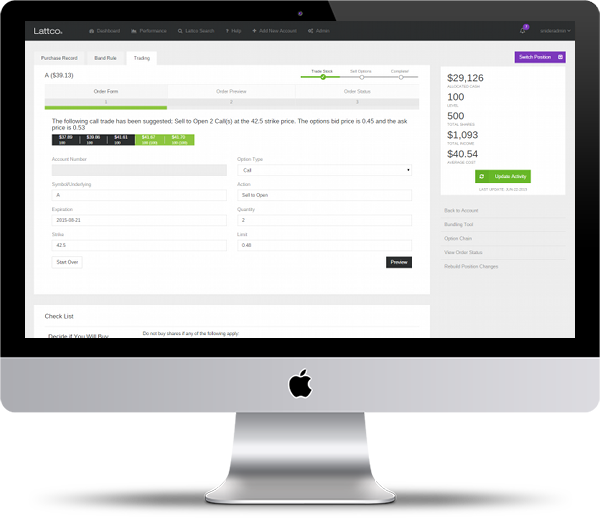 Don’t you wish you had the smartest guys in the room, standing over your shoulder telling you exactly what to click, step-by-simple-step, to select the optimal trade that maximizes your income to easily manage your account in less time and with zero errors? The team here at Snider Advisors has heard you loud and clear; and we’re thrilled to introduce to you the next generation, and bold new level, of the Lattco platform that totally transcends everything we’ve done until now! 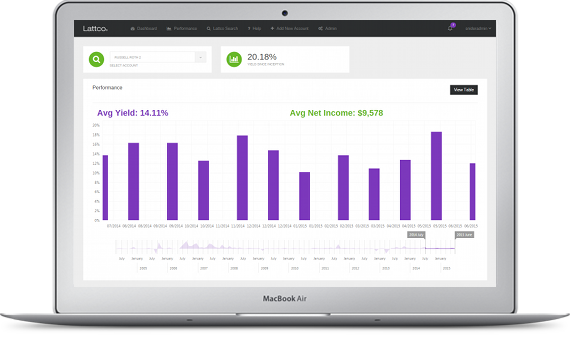 Lattco AutoPilot breaks through to a whole new level of simplistic, intuitive software that automates the process of successfully investing for optimal income returns in little time, with zero errors, and with zero headaches. Finally, put your financial freedom on cruise-control with Lattco AutoPilot! You can finally eliminate the fear of making costly ‘fat-finger’ and ‘brain-glitch’ mistakes and errors that cost you money. With Lattco AutoPilot, you can finally minimize the tedious tasks of trading, providing a more enjoyable ‘Trade Day’ experience with zero headaches and errors. Plus, you’ll maximize your income for you and your family…automatically. Explain the pricing differences between the different versions of Lattco. Explain the capabilities of each version. Hopefully these FAQ's will help you determine which version of Lattco meets your needs. If you still have questions please give us a call at 888-676-4337. What is the difference between Lattco, Lattco PRO and Lattco AutoPilot? Each of the three programs allows you a different level of functions to perform your trading. Lattco allows you to generate new positions to trade the Snider Investment Method, and to keep a record of your Stake and Allocated Cash moving forward. Lattco PRO automatically creates and maintains all of your stock purchase records and Band Rule Worksheets for each of the stock positions that you own, updates your Stake and Allocated Cash worksheets automatically each month, provides a Bundling Tool to assist you in your trading, and allows you to track the performance of your portfolio or account(s) over time. Lattco AutoPilot, in addition to offering all of the features in Lattco and Lattco PRO, also allows you to trade your new and continuing stock positions directly from your Lattco account, and offers guidance on how to correctly trade each position every month. The trading software within Lattco AutoPilot will also offer you the opportunity to easily utilize limit orders during your trading; this feature will potentially allow you to generate additional option income. How much does each version cost? Lattco is offered for a flat $30 fee for every month that you use it to generate a new position. Also, you must be a Level 1 Consulting client to access Lattco ($10 per month). Lattco PRO is offered for a charge of $8 per position for every position that you have activity in for a given month, with a limit of no more than $250 to be charged in any given month. Also, you must be a Level 1 Consulting client to access Lattco ($10 per month). Lattco AutoPilot has a three tiered pricing structure. For all portfolios that are $1 million or less in value, you will be charged a total of 75 basis points (0.75%) annually for use of the system. For portfolios of $1.5 million or more in value, you will be charged a total of 50 basis points (0.50%) annually for use. Portfolios that are between $1 million and $1.5 million in value will be charged a flat rate of $625 per month for use. The monthly fee is calculated using the account value from Ally (not your stake) as reported on your month-end statement. How do I sign up for Lattco, Lattco PRO, and Lattco AutoPilot? Usage of Lattco is included when you sign up as a Level 1 Consulting client with Snider Advisors. Simply go to www.lattco.com, and log in using your Snider Advisors username and password. After you log in, you will be taken to the portfolio overview section, which will be empty the first time you use it. Simply click the Add New Account button, and enter the requested information in order to set up your account. To sign up for Lattco PRO, simply click one of the links to upgrade that are present on the website (either on your portfolio overview, or the “Start Now” link at the bottom of the Lattco homepage). This will direct you to the wizard that will allow you to upgrade your account immediately. To sign up for Lattco AutoPilot, click HERE. We will contact you with further instruction when the turn comes for your name on the list. How can I pay for Lattco, Lattco PRO, and Lattco AutoPilot? There are two different ways to pay for the programs. One is to charge a credit card that is currently on file with us; many of our clients choose this option, and have the Lattco charges combined with the $10 consulting client fee that they are billed for every month. You may also choose to have your fees deducted directly from your Ally brokerage account. To accomplish this, you will need to initial the “Fee Payment Authorization” box on your limited trading authorization (LTA) form for your Ally account. Please then contact us if you would like to have your fees withdrawn automatically from your brokerage account. How are charges calculated for Lattco and Lattco PRO? Lattco assesses a flat $30 fee for every month that you use it to generate a new position. If you update your Stake and Allocated Cash in your account, but do not generate a new position, you will not be assessed the $30 fee for that particular month. Lattco PRO assesses an $8 fee for every position that you have activity in during a given month. For example, if you have three positions that you have activity for, the total fees would be $24. If you had four positions, the fee would be $32, and so forth. If you have a position that is in winter, and does not have any activity in it for a given month, you will not be charged for that position in that month. There is a cap of $250 in charges for a given month for usage of Lattco PRO. How is my Lattco AutoPilot fee calculated? If the value of your account at Ally is $100,000 on the statement, we would multiply $100,000 by 0.0075, giving us a total of $750. We would then divide this total by 12 (remember that basis points* are annualized, but this invoice represents only one month of the year), for a monthly cost of $62.50. You can have this fee deducted from your account or charged to a credit card. *A basis point represents 0.01% of the total value of your brokerage account. Therefore, 75 basis points represent 0.75% of your account value at any one moment, while 50 basis points represent 0.50% of your account value. Basis points are calculated on an annualized basis. When will I be charged for Lattco, Lattco PRO, and Lattco AutoPilot? Charges for Lattco and Lattco PRO are invoiced on the last business day of any given month. Charges for Lattco AutoPilot are calculated on the last business day of any given month, and are invoiced 1-2 days subsequently. What if I only want to use PRO or Autopilot for some of my accounts? At this time, you are allowed to use different levels of Lattco for different accounts within your portfolio. If you utilize Lattco and Lattco PRO within the same portfolio, you will be charged the higher of the two programs each month. We are still in the process of determining how billing will be applied with regards to portfolios that use Autopilot and Lattco combined; we will notify you when the fee structure for this situation has been decided. 100 Decker Ct Suite 120, Irving, TX 75062.